Product development risk assessment is required by law or mandated by buyers in some industries. If your work must adhere to particular ISO standards, (including 9001-2015 and 13485), risk assessment is also a requirement. You may have one risk assessment employee, or a team, but the work affects departments and workflows throughout the company. Risk assessment does more than spell out potential problems that could occur in the manufacture and use of the product, it informs the design process. This is risk mitigation, the intentional use of information from the risk assessment to guide product development. 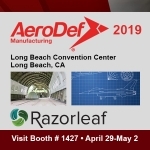 If you do not have risk assessment and mitigation (RA&M) in your PLM workflow, Razorleaf is ready to work with you to define and implement the exact processes and tools you need. Any thorough risk assessment and mitigation workflow should offer a clear plan of action from conceptualization to product end-of-life; it should be an essential part of product lifecycle management. If manufacturing Process, Knowledge, and Delivery were gears, RA&M would be part of the energy transferred from one gear to the next. Compliance management is also available in most PLM products, but should not be considered a replacement for specific risk assessment and mitigation. The discovery process in RA&M can provide vital information to be carried forward into the product with compliance management. An organized plan for risk assessment and mitigation offers a variety of benefits. First of all, the process allows a fresh look of systems from both a high level and from a detailed perspective. Knowing possible failure modes can allow time to prepare a response plan. Specific hardware and software systems, and how they interrelate with process controls and human interaction, can be studied from a new perspective. Parts, assemblies, and whole products can be identified for compliance issues. Quantitative risk analysis methods (offered by some PLM vendors) can identify possible failure points early in product development. The innate benefit of PLM is the ability to manage a product holistically, from idea to end-of-life. Making risk assessment and mitigation part of the PLM process adds an additional layer of security and confidence to every workflow. If something happens along the development cycle or during the product’s operational life, a plan is already in place to deal with it. Projects with mandatory risk assessment means there are additional stakeholders who expect and need access to information throughout the product lifecycle. 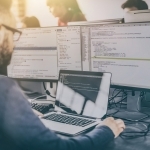 Having RA&M data in PLM makes it available in other PLM workflows, including portfolio management and configuration management, where it can inform processes as well as employees, managers, and stakeholders. Including risk assessment and mitigation knowledge in PLM also means it can be used to advise other enterprise business systems, and be used to establish meaningful deadlines and financial priorities. PLM-based risk assessment and mitigation brings a crucial knowledge base into the “single source of truth.” This vital information becomes part of the product development process, instead of functioning as an outside point of view second-guessing your organization. Anyone with a vested interest in the product stays informed and can provide input. Razorleaf can help you implement RA&M so that it is part of all on-site and off-site systems. Be sure to include proactive system monitoring, to identify, evaluate, and plan for risk mitigation before it becomes necessary. Such attention to detail up-front helps projects stay on track and within budget.